For Lexie. She needs a new heart in the next few days. Pray complest recovery. 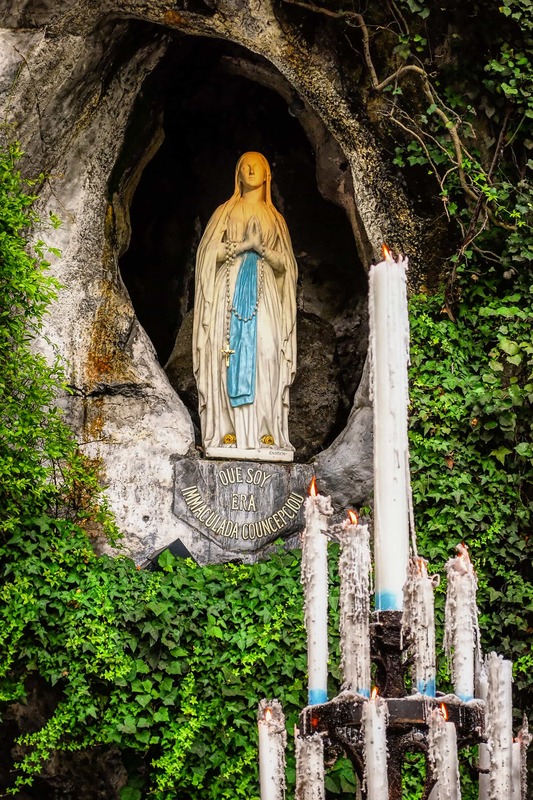 Our lady of Lourdes, please guide and protect my daughter in this time of need. I pray that she retains everything she learns in preparation for exams in May 2017. I also pray that you hear my cry and plea for a new job. Our Lady of Lourdes please heal me and Santiago. Please continue to pray for us and stay by our side. We believe in you and the Lord Jesus Christ. We believe in miracles! Please, pray for Peggy , Debbie, Bubba, Christpher, Mary and Chris. Our Lady of Lourdes, please bring my son back into the church. Thank you for this ministry. Please hear Our Prayers Our Lady of Lourdes. Mother Mary, I come to you to please restore my son’s lukewarm faith. He has not been to church in over a year and is not practicing his Catholic faith. I raise him up in Jesus’ name because only you know what great plans you have for him. His faith is but a mustard seed in his heart. But with that little seed please ignite in him the faith that we have bestowed upon him since he was an infant. May this girl he is seeing now change him so that he may stop doing things that are hurting him physically and emotionally. Please hear my petition from my heart. I ask for prayers for my grandson Colin and Maddy. Bless both of them and heal Maddy of her seizures and alopecia. Colin for emotional healing and confusion. I have faith and trust in God. praying for our son Terry to find peace and love in his heart. That all his patience, kindness and givings were not in vain. That he finds strength and faith to move on for a better relationship and children of his own. give him wisdom that leads him to a greener pathway. Bless him and protect all my children Lord. Protect my husband and bless all his hardwork . May he come out successful in all his endeavours. Please clear his bushy pathways and all negativity that surrounds him. I place all my worries in your hands Lord. Be with my mom today that she will understand that we all care and want what’s best for her. I pray peace within my family. Please help my daughter fight her lung cancer. Dear Mother please intercede for my husband and children that they will open open themselves to your Son’s grace more and more and strengthen my trust. Please pray healing of my daughter’s brain injury and our emotional healing. Please restore my health and strength and keep my family healthy and safe. Help me in my relationship with Cathy especially. I pray today for all those who are sick now including me. I pray also for my lukewarm faith and trust. I place my financial needs into your hands. Lord I pray that my children be successful with their educational endeavours. Lord I place that situation in work into your hands. Our Lady of Lourdes please pray for my success that i may pass legal medicine and persons review so that i can graduate this april 2017. Please pray for the healing of my family.